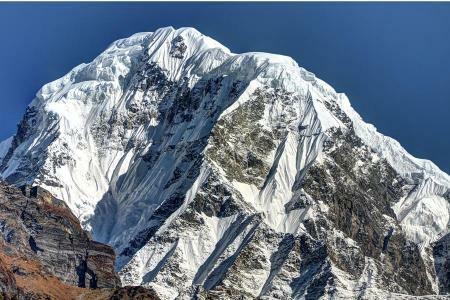 Pisang Peak is identified as the most popular peak in Annapurna region of Nepal. It is situated en-route to the highest pass of the earth. Pisang Peak towers above from Pisang village and yak pastures in a consistent slant of ice to the final summit. And, Pisang Peak is one of the easy trekking peaks and mountaineers with little or no experience in peak climbing can mingle the Pisang Peak with the popular Annapurna circuit trekking to collect the experience of peak climbing on gigantic Himalayas in Nepal. In order to reach the base camp from the Pisang village, the path moves up through thin wood and grazing land to a Kharka (4,380 m.) which is considered as the best place for installing the base camp. Base camp lies at an elevation of 4200m in a flat alpine section along the ragged trail. Physically as a mountaineer you ought to have a good walking habit alongside guts. The peak is fortified by a hanging glacier to the west part which is considerably challenging. The final summit of the Pisang peak is seen covered by snow throughout the year. Pisang Peak climbing commences from Besisahar from the Marsyangdi River Valley. The path takes you through massively distinct wild lives and vegetation and moves to the wonderful peak of Lamjung Himal and Mt. Manaslu. The most important moment of the track joins at Dharapani while trekking via Larkya La. Now the trail demands walk to the Pisang Peak, to a place from where you can take hold of the view of complete vista of the range of Annapurna Himalayan. Pisang peak has been popular among several mountaineers and adventure seekers in the recent years. Go for climbing the Pisang Peak (6091m.) taking support from Unique Adventure and make the daydream of peak climbing experience at the regions of Annapurna come true. 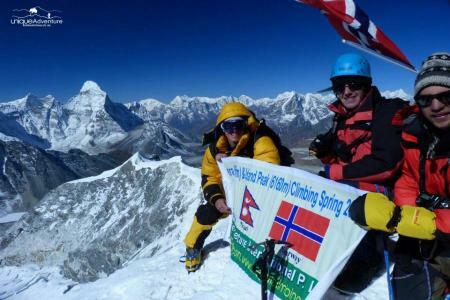 Spring and autumn are perfect seasons to go for climbing Pisang trekking Peak. Soon after we land at Kathmandu International Airport, we meet our Nepali representatives who will clarify us about the tour. After the short description by our representatives, we are sent to our Hotels where we will be staying overnight. Day 02 : Sightseeing around Kathmandu valley, overnight at hotel. Today you travel around Kathmandu valley which comprises visit around historical and saintly attractions; including Durbar Square, Boudhanath; one of the major stupas in Nepal, Swayambhunath; top on the hill in the city knows as the Monkey Temple, Pashupatinath; Hindus holy place. Stay overnight at hotel in Kathmandu. Day 03 : Drive to Besisahar, overnight at guesthouse. From Kathmandu, today, we will drive to Pokhara highway all the way to reach Besisahar. It will take about 6 hours to get there. Besisahar is the headquarters of Lamjung district. We can observe some scenic views of well-known peaks along with cheering natural splendor from here. Day 04 : Trek to Bahundanda, overnight at guesthouse. From Besisahar, it will take about 6 hours for us to arrive at Bahundanda. We will walk beside Marsyangdi River and witness the beauty of the nature all around. And moreover, we can also explore the local culture and customs. We will discover that majority of Gurung people are residing here. Located at an elevation of 1310m, Bahundanda bestows superb views. We stay overnight at guest house in Bahundanda. Day 05 : Trek to Chyamje, overnight at guesthouse. We today, move forward to the Ghermu and to Syange after walking for more than a few hours. We can see a magnificent view at Syange which includes waterfalls and springs. Jagat is our next stop where we can have our lunch. It takes around one hour to reach Chamche from Jagat. Here we can find several hotels and guest houses where we will stay overnight. Day 06 : Trek to Dharapani, overnight at guesthouse. After coming across few bridges, we can ascend up to the Tal village set at the altitude of 1700m. The company of beautiful and spectacular waterfalls is a fascinating part for many visitors. We will traverse several other bridges between Tal and Dharapani. It will take about 4 hours for us to arrive at our destinations. We will stay overnight at Dharapani which lies at an altitude of 1900m. Day 07 : Trek to Chame, overnight at guesthouse. From Dharapani, it takes around 5 to 6 hours to reach Chame. En-route we pass through a Bhote village where we can observe an ethnic group of Nepalese community. We will also pass through the oak and pine forest viewing some wonderful faunas and floras. Eventually, we can arrive at Chame (2675m.) where we can perceive many shops and hotels. We will stay overnight at guest house in Chame. Day 08 : Trek to Pisang, overnight at guesthouse. From Chame, we head to Pisang today viewing the splendid Lamjung Himal. We need to cross the longest suspension bridge over Marsyangdi River. After walking for quite a few hours passing the agricultural area, we can arrive at to Taleku at the elevation of 2775m. Ongoing further, we walk through the thick forested area viewing some stunning view of gigantic peaks and then ultimately reach at Pisang (3300m.). Day 09 : Trek to Pisang base camp, overnight at tented camp. Today we begin walking up to Pisang Base camp. From Upper Pisang village, the path heads up through thin wood and field to a Kharka (4,380m.) 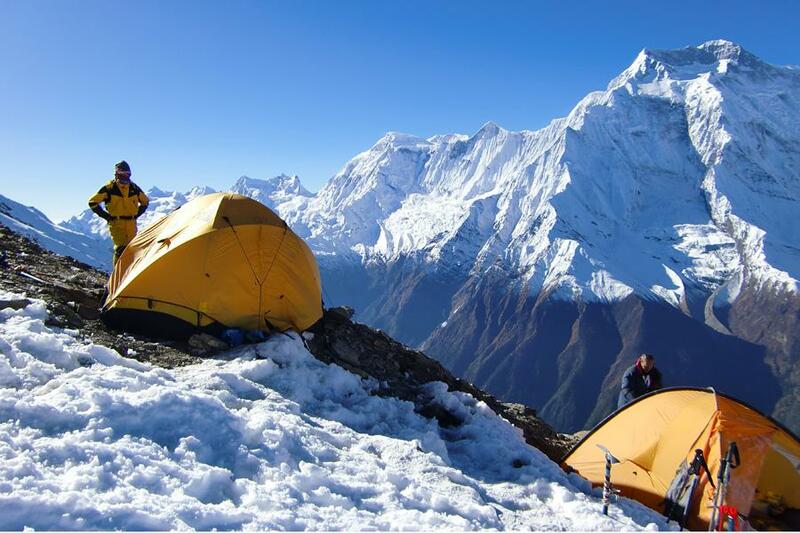 which is regarded as the best spot for installing up the base camp. It is in a plane alpine section. Overnight stay at tent. Day 10 : Acclimatization at Base camp, overnight at tented camp. Today, we will have a day off for rest, for proper acclimatization. Prepare yourself with all the necessary gears for climbing. Enjoy the full day with very wonderful views of several magnificent peaks. Overnight at tent. Day 11 : Ascent to High camp, overnight at tented camp. Today we will walk for about 4 -5 hours and put in our high camp at the elevation of 5400m after climbing to the south west edge. Overnight at tent. Day 12 : Summit up to Pisang peak and back to base camp, overnight at tented camp. 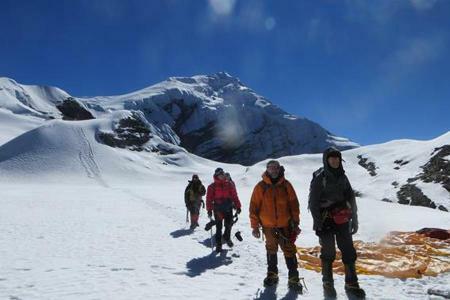 Today is the most important day of the trek since you will reach at the summit on Pisang Peak. From the High Camp, the ridge takes us to the final snow-slop which is pretty vertical and more demanding to reach the summit. Our experienced guide will fixed the rope and let you reach at the summit of the Pisang peak. After reaching at the summit, you will then return back to Base Camp with a mind full of pictures you capture at the summit and stay overnight at tent. Day 13 : Trek to Pisang, overnight at guesthouse. After the significant day, you will be walking down to Pisang village from Pisang Base Camp. Overnight at guest house in Pisang. Day 14 : Trek to Danaque, overnight at guesthouse. Day 15 : Trek to Chyamje, overnight at guesthouse. Day 16 : Trek to Ngadi, overnight at guesthouse. Day 17 : Trek to Bensisahar, overnight at guesthouse. Day 18 : Drive back to Kathmandu, overnight at hotel. We today return back driving from Besisahar to Kathmandu. On arrival at Kathmandu you will be shifted to the hotel. You can then relax for rest of the day and stay overnight at hotel. Day 19 : Leisure day in Kathmandu, overnight at hotel. We can go around Kathmandu valley, if some important places have been missed according to your choices. After the hectic schedules of trek, today you can either go for shopping or have a day rest before departing from Nepal. Day 20 : Transfer to airport, departure onward destination. This is your last day of your Pisang Trekking Peak. Our airport representative will drop you to the airport and you will depart from Nepal. Three meals in a day (Breakfast, Lunch, Dinner) with hot beverage and snacks whilst on trekking. Cosy guesthouse and Tented camp accommodation whilst on trekking. Sagarmatha National Park entry and trekking peak royalty fees. 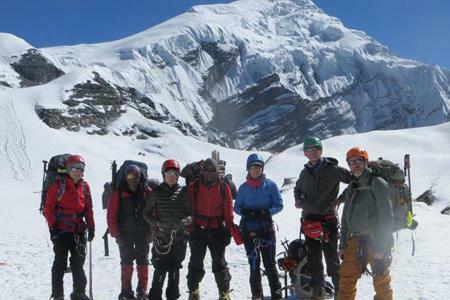 All necessary staff with an experienced fluent English speaking trekking and expedition guide trained and licenced by Nepal Mountainering Association (NMA), cook and assistant expedition guide. 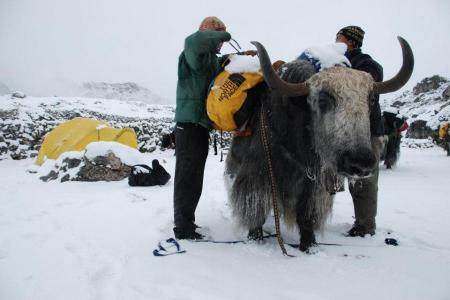 Highly experienced trekking porters to carry luggage (1porter per 2 trekkers). Staff food, accommodation, clothing, salary & insurance. All governmental paperworks and procedures. Satellite phones and Gamow bag. 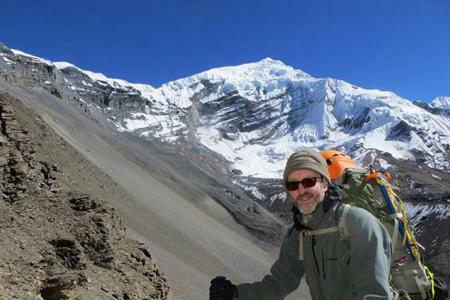 Personal trekking Equipment, travel and medical insurance & helicopter rescue, personal expenses. Meals and extra night (more than stated in itinerary) accomodation in Kathmandu. Note: You can bring the necessary gears from your own country or can buy or hire from the stores at Kathmandu.